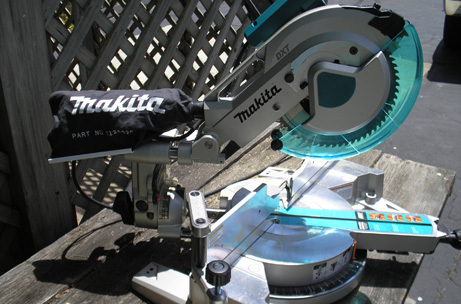 Remember the Makita 10-inch miter saw we talked about back in April. I thought it was unique and offered a nice compact design. Because of its 2 pairs of sliding rails, it allows the saw more travel while requiring less space. Jay over at CopTool seems to have liked it, and has a great review for your reading pleasure. This season, 10-inch is the new 12-inch... next season, 7-1/4 inch miter saws with 6 rails.